« Billy Graham dies: What was his real legacy?  Venezuela’s oil-backed “petro” cryptocurrency raised $735 million in the first day of its pre-sale Wednesday, President Nicolas Maduro has claimed. 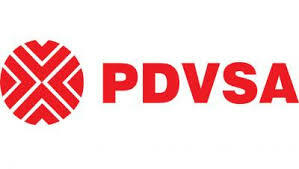 Caracas said that each unit of the petro is pegged to the price of one barrel of Venezuelan oil. The country’s cryptocurrency regulator has said it hopes the petro will draw investment from Qatar, Turkey and other Middle Eastern countries, as well as from European nations and the U.S. But a number of skeptics have raised concern about the country’s cryptocurrency ambitions, with some citing Venezuela’s debt problems and the possibility of asset manipulation as cause for doubt. Venezuela is currently facing hyperinflation, the collapse of its currency, the bolivar, and shortages in food and other basic necessities due to price controls. Venezuela has been having major economic issues, but it also may have the world’s largest petroleum reserves. Its cryptocurrency has at least three objectives: 1) to try to help Venezuela’s economy 2) to get around international sanctions and 3) to get around currency restrictions that US President Donald Trump has threatened Venezuela with. The USA has been using threats about its dollar prominence against countries like Venezuela, Russia, North Korea, and China. It should be no surprise that they have been taking actions. China is likely highly pleased with this for two reasons. First, the trade was in Chinese yuan and not USA dollars. China wants its currency accepted for international trade, plus it wishes to topple US dollar dominance. The other reason has to do with the fact that China is expected to launch something that has been called the petroyuan on March 26, 2018 (see Russia prepared to drop SWIFT; China preparing for launch of petroyuan). The preliminary success of Venezuela’s petro-cryptocurrency is likely very encouraging to the Chinese. The dominance of the USA dollar in world trade is diminishing: see The End of US Dollar Dominance. Also check out the following: Russia, China and BRICS: A New Gold Trading Network and watch the following: US Dollar being challenged by Gold-Petro-Yuan. Governments can monitor all buying and selling if they have control over cryptocurrencies (cf. Revelation 13:16-18). We are getting closer to the final times of the Gentiles and moving away from first the UK pound, and now the USA dollar, are steps towards that. Two Russian leaders have called for a BRICS-wide and/or EAEU-wide cryptocurrency. This is hoped to be used to replace the US dollar for international trade. BRICS stands for Brazil, Russia, India, China, and South Africa. The BRICS nations represent 3.6 billion people. The EAEU includes Russia, Armenia, Belarus, Kazakhstan, and Kyrgyzstan. Will Gentiles rise up? Are there any prophetic ramifications of what these nations are looking to do? This is a video. Here is a link to our video: Gentile Cryptocurrency Proposal. The time is also coming when the USA dollar will be worthless. With the USA ever increasing its debt, many around the world are looking for alternatives. The fewer the countries that require the USA dollar, the easier it becomes to replace it as the world’s dominant reserve and trading currency. While Venezuela still has major problems, its move to a petro-cryptocurrency is not helpful for the USA or its dollar. This entry was posted on Wednesday, February 21st, 2018 at 3:30 pm	and is filed under Prophecy.